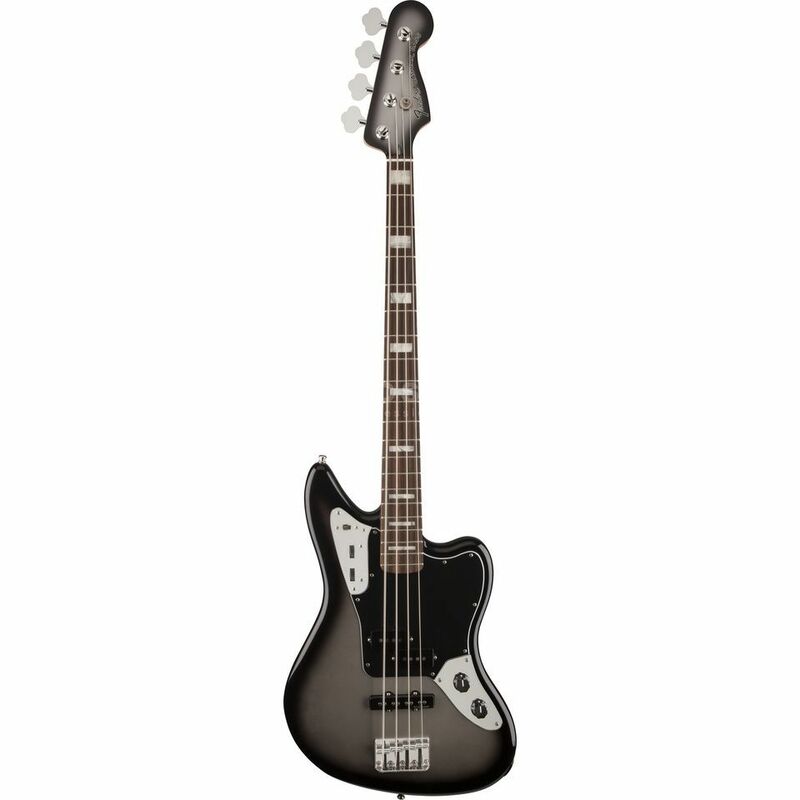 The Fender Troy Sanders Jaguar Bass 4-string bass guitar in Silverburst is the first signature model to be given to Troy Sanders, bassist of Atlanta’s finest alt-metal titans Mastodon and metal supergroup Killer Be Killed. The Fender Troy Sanders Jaguar Bass features an offset alder body that is joined by a modern C-shaped maple neck. The neck itself is finished with a body-colour painted headstock and a 20-fret rosewood fingerboard that is fitted with white pearloid block inlays. The headstock also features Troy Sanders’ signature on its reverse. From this point on, the Fender Troy Sanders Jaguar Bass 4-string bass guitar starts to differ from its similarly-shaped siblings. Unlike a standard Jaguar Bass, the Troy Sanders signature comes equipped with a set of PJ pickups – an American Standard split single-coil Precision bass pickup in the middle position and a custom Noiseless single-coil Jazz pickup at the bridge. Accompanying this pairing is a non-standard active passive/electronic circuit. This allows for additional active bass and treble controls to be used when the relevant circuit is selected. To finish everything off, the Fender Troy Sanders Jaguar Bass comes equipped with master volume and pickup pan controls, a standard four saddle bridge, standard open-gear tuners, a three-ply black pickguard and a custom Remission-logo neck plate.